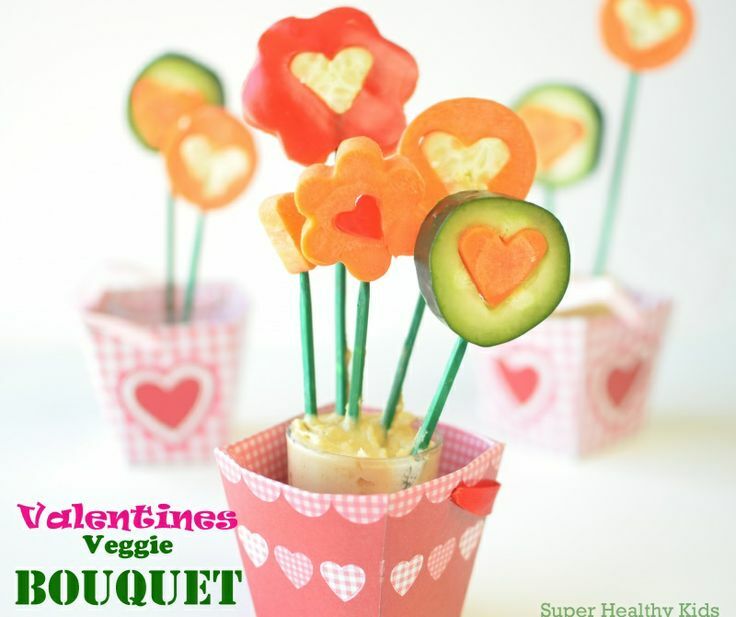 This fun vegetable bouquet may just be exactly what your kids need to get them to eat their veg. 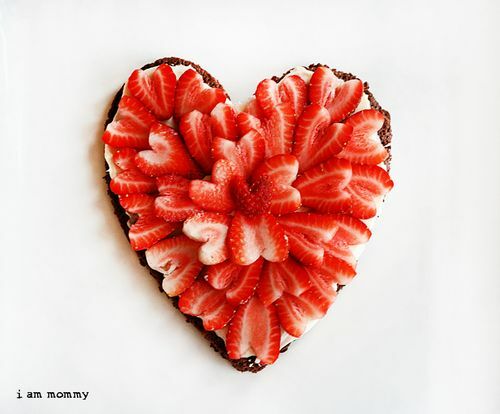 It looks pretty and is very easy to make. You can find the full recipe on the superheatthykids.com website. 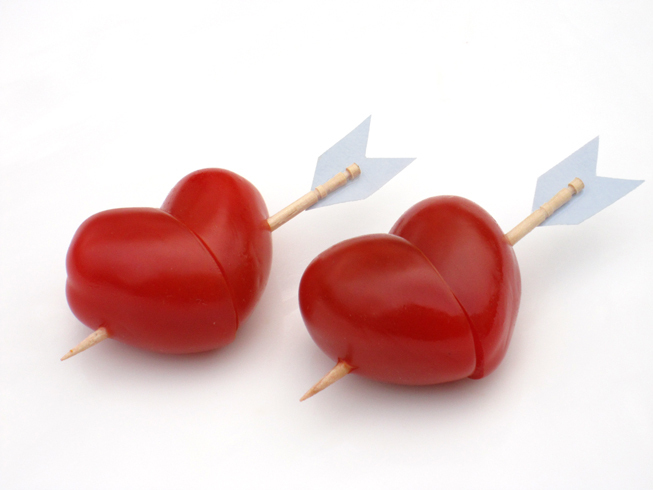 These cute little tomato hearts can be put together in seconds and are a nice addition to even the simplest meal. This is my favorite idea. You can find the original recipe on subtlerevelry.com website. 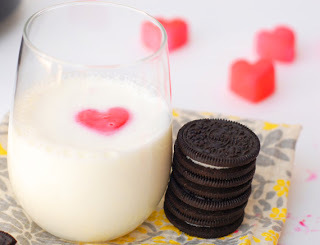 The original recipe uses milk and food colorings to create cute little heart shaped ice cubes. 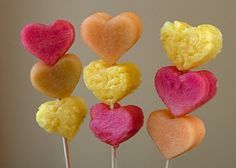 If you decide to use the food colorings, you want to use the natural ones. If you have trouble finding them in your local shop you can buy them from naturalcandystore.com. The natural colors are much healthier than their synthetic counterparts. We use mashed fruit like raspberries, strawberries or blueberries to create the ice cubes and to give the milk an extra color and taste. 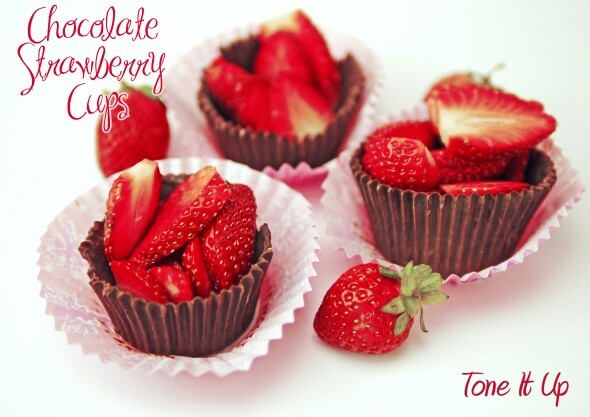 These chocolate cups are really fun and easy to make. All you do is melt some chocolate in the microwave and spread it all around the cupcake forms. Put into the fridge until the chocolate hardens and then slowly remove the paper. Kids love making them and you can fill them with almost anything. We have not yet had a chance to try this but this brownie pizza looks delicious and we will definitely be giving it a try. You can get the recipe from iambaker.net. Very creative. Thanks for sharing your ideas! Thank you – I am glad you enjoyed the post.